Scheduling appointments and taking residents to a physician’s office can be a stressful experience for patients and caregivers alike. Resurgia provides medical house call visits to residential facilities, including assisted living facilities, independent living facilities, and personal care homes, primarily on scheduled days when we can see multiple patients in familiar surroundings. We also perform medical director services with contracted facilities. This reduces the need for on-staff medical teams, while ensuring that residents have access to high quality medical care. 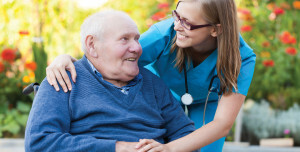 Group Care Advantage facilities enjoy a high level of services and direct access to clinicians to help them respond to resident needs quickly. These services are provides at no cost to facilities as patients are billed directly, and creates an added marketing benefit for facilities pursuing prospective residents. 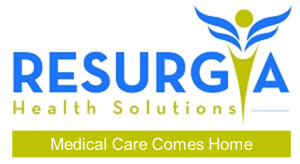 Call 1-84House-Doc to talk about how Resurgia’s House Call Medical Care can improve the health and well-being or your residents in Atlanta, while increasing the attractiveness of your facility to future residents. Quality house calls in Atlanta Georgia. Nice. You can pay us directly, and file a claim with your Health Plan. Visits start at $149 plus applicable trip fees and we accept checks and all major credit cards. No cash please.